French toast is a simple and delicious go-to when you’re looking for a special-occasion brunch recipe (like for Mother’s Day maybe?…hint…hint…). 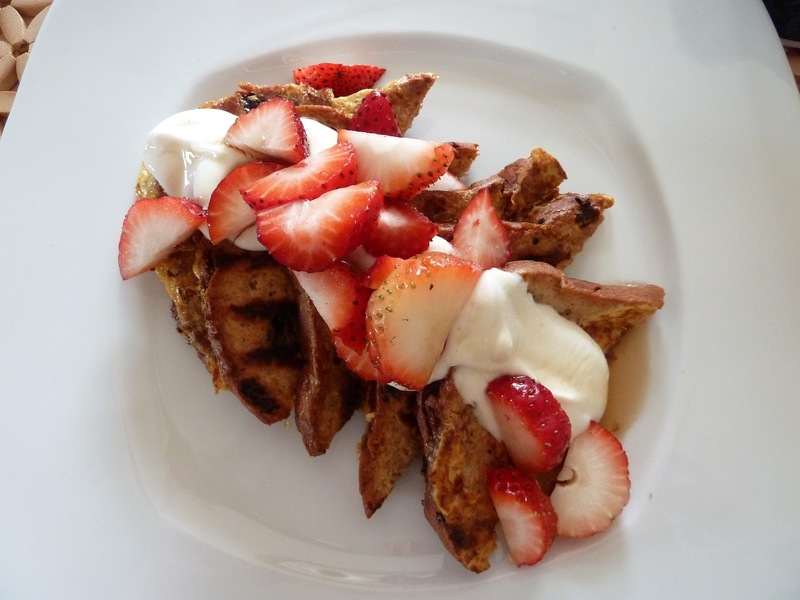 A classic way to make French toast extra-special is to prepare it ‘stuffed’ with a combination of cream cheese, a touch of heavy cream, and vanilla and fresh fruit. Of course, that’s also a great way to make it not so good for Mom (or whomever your planning to spoil with breakfast in bed). This version is decidedly lighter and just as decadent and special-feeling as the full-Monty version. You’ll need just a few simple ingredients and about 15 or 20 minutes to prepare. I made this one gluten free by using GF raisin bread. 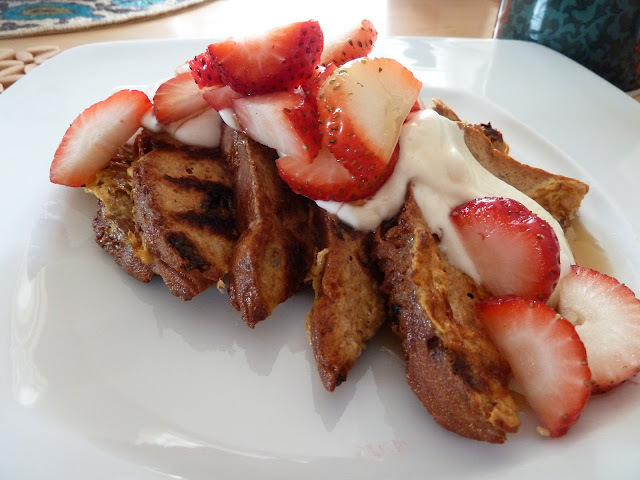 In my opinion (and I’m not alone on this), Challah is the best bread to use for French toast, so, if you want to up the ante on the pampering meter, go for it! (you may want to reduce the slices to 2 per person to make up for the extra calories). You could easily substitute your favorite fruits and flavors (blueberries and lemon yogurt come to mind).